In this Kali Linux for Android tutorial, you will learn how to install kali Linux on Android phones and tablets using Linux Deploy App. When you ask someone about how to start hacking most of the time you will be advised to use Kali Linux, because Kali Linux has been only built for hacking and penetration testing. With the help of its powerful hacking tools, you can start hacking in no time. 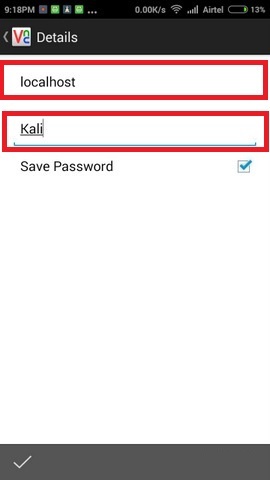 Although It is advised to use Kali Linux on a computer, if you want to test Kali Linux using your android phone then this Kali Linux for Android tutorial will guide you to install Kali Linux on Android. Things needed in this Kali Linux for Android tutorial to install Kali Linux on Android. 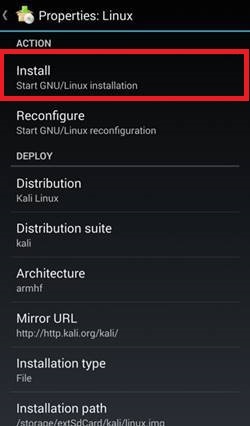 Kali Linux for Android, Step by Step Installation Guide. 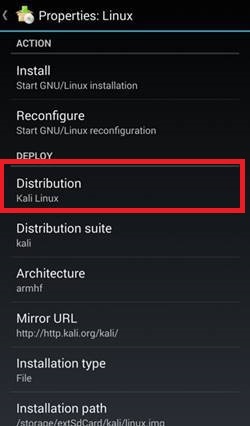 In order to install Kali Linux on Andriod phone, your android must be rooted. For this Kali Linux for Android tutorial, I am using Linux Deploy App to install Kali Linux on Android. 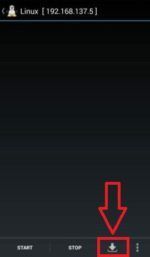 Choose the Download button which is on the right side of the Linux Deploy App. Tap on the Distribution option and choose Kali Linux. Step 4: Start the Kali Linux installation on Android phone. At the top, you will see Install Start GNU/Linux installation tab on it to install Kali Linux Android phone. If you have a good internet connection it will take 5 to 10 minutes to complete just wait for it what else you can do! After installing Kali Linux on Android phone you will need VNC Viewer App to run it. Step 7: Enter Localhost and Kali in the text fields. Launch VNC Viewer App type Localhost and Kali in the text field save it. Step 6: Connect Kali Linux with VNC Viewer App. 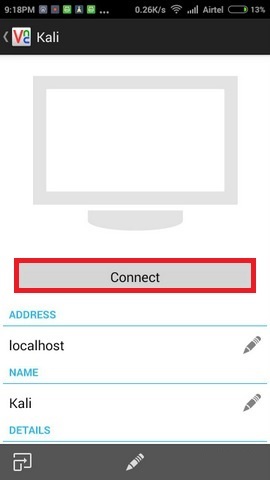 The final step in this Kali Linux for Android tutorial, choose the Connect button in the VNC Viewer App. Now you know how to install Kali Linux android phone with the help of this Kali Linux for Android tutorial. If you think Kali Linux for Android tutorial is useful share it with your friends. Else start a discussion the comment section to make this Kali Linux for Android tutorial useful.